April 2012 - Get Ready to Ride with the River Hawks!Get Ready to Ride with the River Hawks! Yes I know, that is easily the cheesiest pick up line around but I still think it’s hilarious. So lately I have been totally into looking at my horoscope every morning and seeing what is in store for my day. And 9 times out of 10, it is dead on. Which lead me to find out cool facts about being a Gemini and all the other Zodiac Signs. A Pisces woman is a true romantic and you will be extremely blessed if she allows you to enter her realm of sexual fantasy. So are any of these characteristics right? As always, mine is correct. hehehe and I hope you learned something fun about yourself. Kiwi isn’t just a tasty fruit that is often paired with strawberries. It’s an adorable little bird who has a memorable call that is heard across New Zealand. Although flightless, the brown bird has flown into my heart. Ever imagine what would happen if a Zebra and a Horse had a baby? Well it would look exactly like an Okapi! This interesting looking creature from Africa is a cousin of the Giraffe. Who’s watched the movie Madagascar? Well those funny looking creatures are actually based off of animals found in that country. One being the Aye-Aye. This cuddly character from the movie isn’t so cute in person. It is known for the freakish looks that are a combination of a rodent and a monkey. 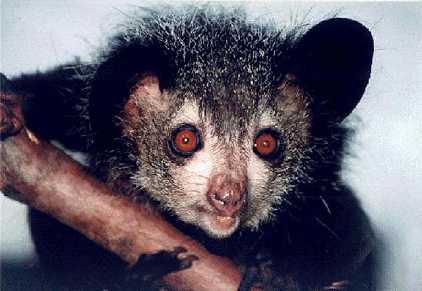 The Aye-Aye is also known for it’s extra long middle finger. Axolotl is a slimy salamander found in Mexico. They are used widely as medical lab rats because they can rapidly regenerate any body part. The Baiji from China is now considered extinct because humans hunted them to eat. These fun loving animals were also called the ‘River Dolphin’. Now for the most hideous and ugliest creature I have ever seen: The Bolbfish. This sea creature is only found where the pressure is very high. Bolbfish don’t even swim! They just hover over the sea floor slurping up whatever food they can.